On Sept. 24, 2012, a groundbreaking ceremony marked the beginning of construction for a brand new Guizzetti development. 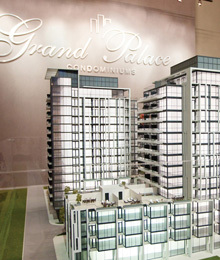 The much-anticipated Grand Palace Condominiums is underway, bringing excitement to future residents in the heart of Richmond Hill. The three 15-storey buildings will include over 500 units and many luxury amenities, welcoming tenants in the summer of 2014.